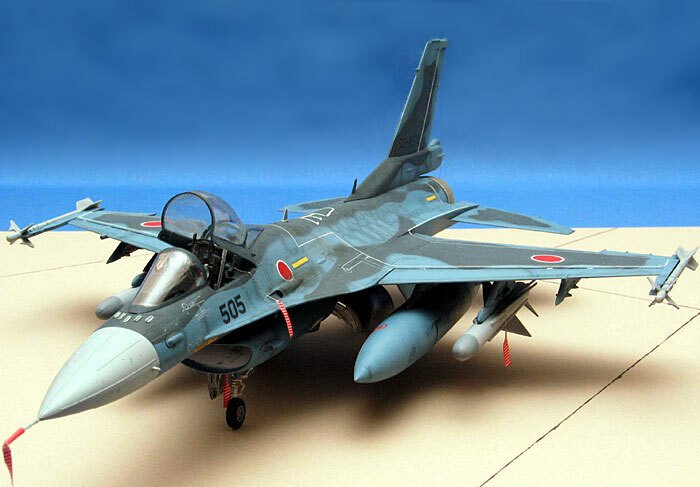 Here are a few photos of my recently completed Hasegawa 1/48 scale Mitsubishi F-2A. 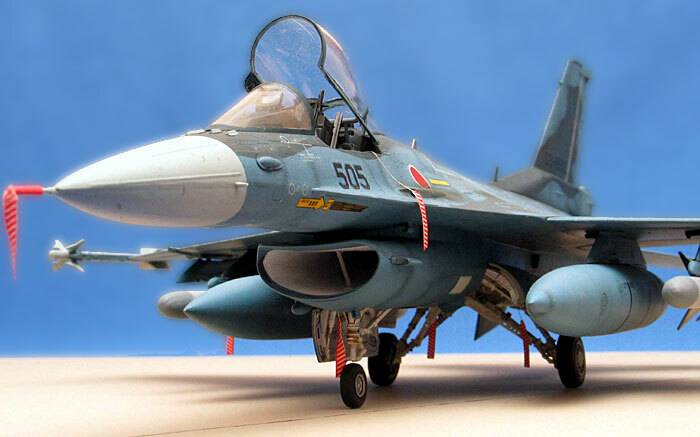 It was mistaken for an F-16 at a club meet in Manchester; and at the same meeting, because of the colour scheme and the look of the front fuselage, a Flanker! The kit went together quite well. There were not even even any complications with the intake ducting. 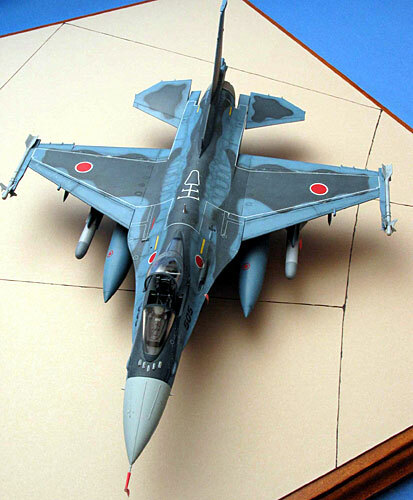 The model was built straight from the box and finished using a mixture of Lifecolor, Tamiya and Vallejo acrylic paints. It is the first time I have used the airbrush to highlight the panel lines, and I was pleased with the result. Photos were taken using a Canon G3.